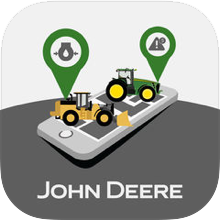 The MyOperations™ app connects with John Deere Operations Center, empowering you to evaluate expected vs. actual performance of job execution and machine utilization. 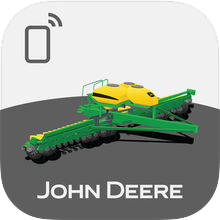 Powered by an easy, reliable connection between you and your machines through JDLink™ Connect, the MyOperations™ app allows you to monitor completed field activities that occurred today and yesterday to determine the productivity and quality of each field for a given operation like Seeding, Application, Harvest, and Tillage. The MyOperations™ app is truly your solution to view machine and agronomic data anytime and anywhere. Access to these insights into your farm helps you proactively manage your day to improve logistics and productivity, as well as increasing confidence that your jobs are being executed as planned. Takes field analytics and decision making to the next level. 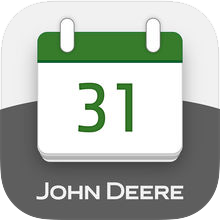 The MyAnalyzer™ app connects with John Deere Operations Center to put historical field data at your fingertips, anytime and anywhere. You can review prior operations on a field, including the completion date, and better understand current conditions that include map layers such as Yield, Moisture, Products, Population, Target rates, and As-Applied data. The MyAnaylzer™ app provides you the ability to analyze harvest results to make better decisions for next crop year, have informed conversations with trusted advisors and export field results with agronomic summaries and maps via text or email. To enhance your MyAnalyzer™ experience, JDLink™ Connect creates an easy, reliable connection between you and your machines to keep the operational data flowing from the field automatically and wirelessly, ensuring you always have the latest information while on the go. Designed for operators to be able to receive clear work instructions from their managers and report back work details to the office. Whether operators are working in- or outside the cab they stay connected to their latest set of work instructions. By reporting back a detailed job status (Start, Pause, Resume) as well as answering job related questions the need for phone calls is drastically being reduced and an understandable and transparent work documentation is being delivered. 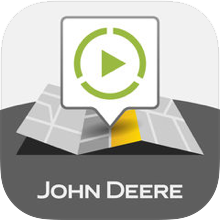 Users with an enabled MyJohnDeere.com account can receive work instructions, visualized field location & shape, view job details and get directions to the field. These features ensure the job gets done in the right place, at the right time, with the proper machine settings. The MyMaintenance app also allows users to view machines enrolled in a maintenance plan through the Maintenance Manager that are due for maintenance or past due for maintenance so you can efficiently increase your machine uptime and performance. Viewing machines on a map, looking at machines nearby, barcode scanning a machine to see maintenance plans, access to a parts list for maintenance and keeping track of maintenance costs are a few features that will help you view and track your equipment maintenance right at your fingertips. 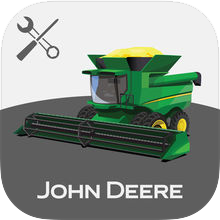 Gives 4 Series Sprayers John Deere Application equipment operators and technicians the ability to optimize their machine through proper set-up and maintenance procedures. This guide is intended to provide a quick-reference overview of key adjustments, maintenance, and operation of R4023, R4030, R4038 and R4045 sprayers' right at your fingertips. You can also access a step by step guide of how to properly rinse your solution system. In addition, GoSpray App users can record observations and save them for future reference to ensure hours spent in the field are maximized to their fullest potential. Gives S-series combine operators the ability to optimize their 2012 or newer machine as they enter the harvest season. Operators choose the model of combine and type of crop and GoHarvest suggests initial settings for that crop type. GoHarvest also features a notes section and photo functionality to give combine operators a premium experience when setting their machine. GoHarvest is also a great guide to use in field for settings changes as conditions differ, and to document changes made to settings during harvest. 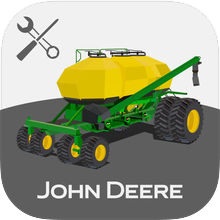 Gives John Deere 1870, 1890, 1895 Air Drill and 1910 air cart operators the ability to optimize their machine as they enter the seeding season through proper equipment and monitor setup, as well as maintenance and in-field procedures. This guide is intended to provide a quick-reference overview of key adjustments and setup instructions to optimize your Air Seeding tools right at your fingertips. GoSeed app users can also record observations (notes and/or pictures) and save them for future reference to ensure hours spent in the field are maximized to their fullest potential. Gives John Deere 2730 Combination Ripper operators the ability to optimize their machine as they enter the tillage season. At John Deere, we understand that every minute in the field is valuable during the tillage season. This guide is intended to provide a quick-reference overview of key adjustments, maintenance, and operation of the 2730 Combination Ripper right at your fingertips. GoTill App users can also record observations (notes and/or pictures) and save them for future reference to ensure hours spent in the field are maximized to their fullest potential. Gives Large Square Baler and 9 Series Round Baler operators the ability to optimize their machine through proper machine and monitor setup, as well as maintenance and in-field procedures. This guide is intended to provide a quick-reference overview of key adjustments, maintenance, and procedures right at your fingertips. GoBale App users can also record observations and save them for future reference to ensure hours spent in the field are maximized to their fullest potential. 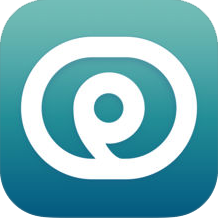 GoToAssist Seeit lets you share what you see on your camera with a GoToAssist Seeit agent. IT'S EASY! A Solution Center tech starts a session and gives you a code to join. Then you can share your camera and microphone to resolve your issue. This allows the Solution Center to go beyond just seeing your screen with RDA. A combine performance monitoring and optimization solution from John Deere that helps growers better understand their data and make machine adjustments to increase performance. Harvest Mobile works with the GreenStar™ 3 2630 Display, compatible S-Series combines, and combine software to enhance the harvesting experience. Harvest Mobile wirelessly sends the harvest information from the combine to an iPad® inside the cab. The iPad displays the harvest information in maps that make it easier for the grower to understand the yield performance. Interactive Combine Adjustment (ICA) is an intuitive user flow wizard that makes it easy to identify issues and adjust settings to optimize harvesting performance. ICA wirelessly adjusts combine settings from the iPad when the grower approves an optimization recommendation. 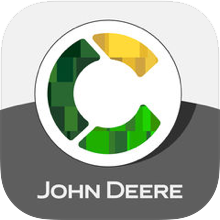 John Deere Connect Mobile is a mobile application downloaded onto an iPad that is used to help monitor, optimize, and better understand machine performance. The Connect Mobile app connects to the machine through a WiFi network to document and display machine performance and agronomic data about the operation performed by the machine. The app works in conjunction with either the GreenStar™ 3 2630 or Generation 4 4600 CommandCenter™ displays. 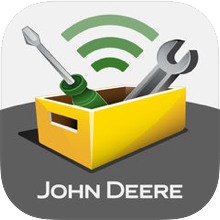 The Connect Mobile app can also wirelessly send data to the John Deere Operations Center using either a WiFi network with internet access or through cellular service using the grower's cellular data plan. The app can also be used for basic crop scouting activities through the field review feature. Field review provides the grower access to every map layer documented by the Connect Mobile app and be displayed on the iPad at any time. iPads with an active cellular data plan will use a blue dot to show the device location within the field, helping the grower more accurately perform their crop scouting activities. 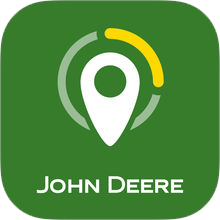 The John Deere Connect Mobile app can be used for planting operations with select John Deere planters and spraying operations with select John Deere self-propelled sprayers. 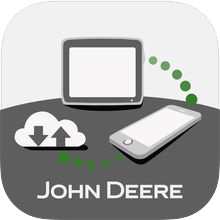 The Mobile Data Transfer app allows customers to transfer John Deere GreenStar™ 3 2630 Display files from their machines to their John Deere Operations Center account using a wireless USB device and a smartphone data plan. 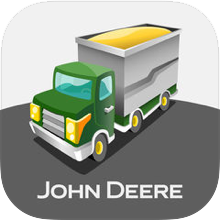 Mobile Data Transfer also allows customers the flexibility to make last-minute prescription and setup changes, which are retrieved from the "My Files" feature in the John Deere Operations Center. Mobile Data Transfer enables easy transfer of data files to and from the display, regardless of the brand of the machine being operated. 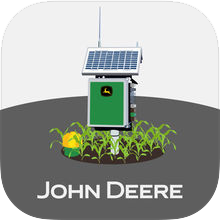 GoPlant has now become PlanterPlus™, the newest app from John Deere, combining the information from the GoPlant app to setup your planter, and the ability to perform Row Runoff and Meter Performance tests from your mobile device, to help optimize the settings on your row unit. PlanterPlus™ supports the ExactEmerge 1775NT, 1795, DB44, DB60, DB66, DB80, DB88 and DB90 Planters, complementing the user manual to suggest initial settings for both the machine and the display and helping you connect the planter to your tractor. 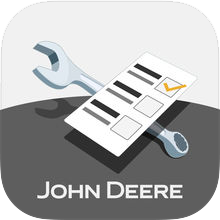 For select planter models (activation required, consult your local Deere Dealer), the PlanterPlus™ app will also let you perform Row Runoff and Meter Performance tests from your mobile device. Now you can start/stop tests and see real time planter stats such as population, singulation and vacuum pressure all on your mobile device. If your planter has vacuum automation, you can adjust vacuum levels from the mobile device and see how they affect singulation for your current seed. 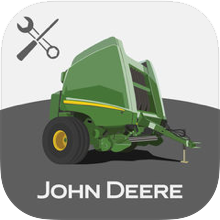 "John Deere SolutionsPlus app is your toolbox for managing technology product offerings from John Deere. 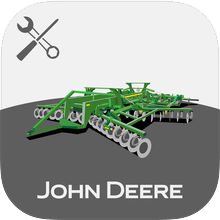 The SolutionsPlus app is used to support, configure, and enable the functionality of select John Deere precision technology products for agriculture, construction, and forestry industries. Depending upon the technology product, the SolutionsPlus app can be used for such activities as updating software, transferring subscriptions, connecting MTG 4G LTE to a wireless network or configuring MTG 4G LTE to receive wireless connections. 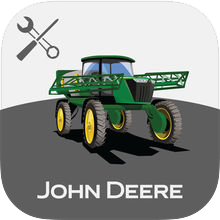 The TractorPlus application for the 1, 3 and 4 family Compact Utility Tractors provides John Deere operators with tools and information to help learn about and setup their machine. This guide is intended to serve as a quick reference tool, providing an overview of features such as Hitch Assist, and Final Tier 4 engines, as well as providing tools for diagnostic trouble codes, and an icon glossary which allows you to easily and conveniently familiarize yourself with the instrument panel. Find ease in attaching and detaching quick-attach implements, with instructions and photos at the swipe of your fingertips. Such implements include loaders, mid mowers and backhoes. TractorPlus users can also record observations by creating notes and saving them for future reference to maximize their knowledge of equipment setup. 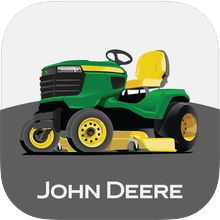 Keep your John Deere riding lawn mower running its best and know how you mow with the John Deere MowerPlus app. Simply scan your barcode or enter your serial number and the MowerPlus app is optimized for your specific mower. In-app notifications help you determine the best time to mow, as well as communicate expert pre-mow optimization tips and routine maintenance reminders. Ready for maintenance? 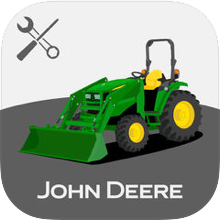 You can order the Home Maintenance Kit - almost everything you need to perform maintenance for your specific mower - right from the app. Simple step-by-step instructions make performing maintenance quick and easy. Not a DIYer? Contact your dealer for service and support directly from the MowerPlus app. 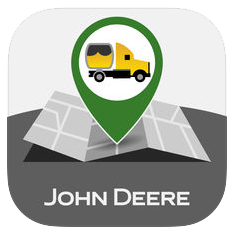 JDLink™ is John Deere's telematics system designed for customers and managers who desire to take their operation to the next level of productivity and efficiency without leaving the office! Using JDLink™ information to optimize a machine is no different than pulling a soil sample to identify what nutrients are needed to produce a high yield. Using the power of JDLink™ can optimize productivity, increase uptime, and boost profits with JDLink™ information all from a laptop, desktop, or mobile device. 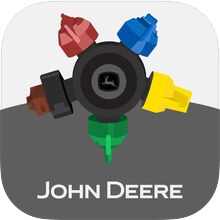 The John Deere Nozzle Select mobile app for Application Equipment gives operators the ability to find the right spray nozzle for the job. Nozzle Select is a guide intended to provide an overview of John Deere Nozzles that are recommended for a variety of different product application types. Maximize sprayer application efficiency by entering spacing, speed, application rate, density, and droplet type to find the right nozzle at your fingertips. Nozzle Select users can also order nozzles in the app directly from JDParts.Deere.com. 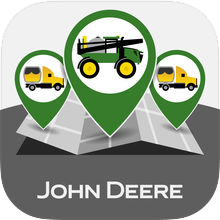 Accessing John Deere Field Connect™ has never been easier. 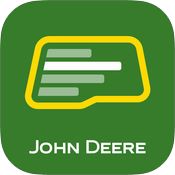 All of John Deere Field Connect™ data can be accessed from a mobile phone. Get the latest readings for soil moisture levels and attached environmental sensors. Scroll easily from sum graph to line graph and add notes while viewing up to 30 days of data. Currently, the app works with smartphones. Tablets will continue to utilize full Web version to allow admin functionality. 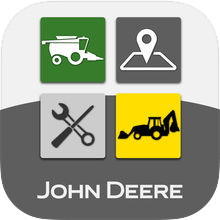 The John Deere App Center is one convenient location organize and find all of the John Deere mobile apps that can help you get more out of your equipment, your business and your day. John Deere Events is your gateway to a better experience at John Deere trade show exhibits, special events and other programs. Inside, you'll find access to multiple event-specific apps with always up-to-date schedules, display lists, references, and much, much more.